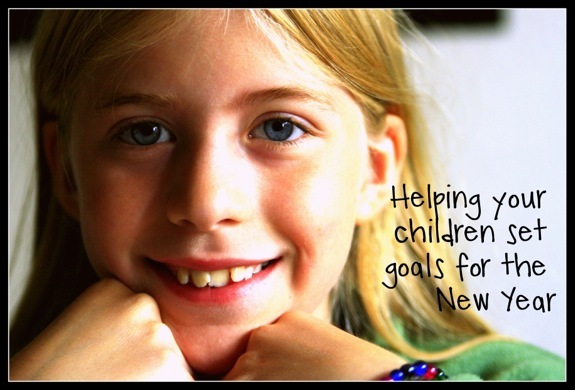 A list of questions can help guide your child through their own thoughts on their goals and give you a wonderful way to ‘take a picture’ of their personality on New Year’s 2013. I set up my sessions with my kids as an interview. It helps to guide them through what they love and what they want to do this year. It starts out rather simple, with questions about what is their favorite color and favorite food (for one of my children these change every time) and then goes into what they want to learn, and what makes them happiest, and what they have in mind for short term and long term goals. The answers are always enlightening for me and I love having this special time with each of them to document when they ‘loved the color purple and pizza and wanted to be an artist/farmer’ (I mean really, who doesn’t?). Here is my list of questions. I encourage you to make this personal for your children and add in things you see as running themes in their personality. For example, my oldest is very into music. He plays guitar and is starting to learn piano. So I will often help him remember this as I do the interview and ask him more questions about his goal within that particular hobby. I love that I have been able to see that love grow over the past couple years! If you knew you could not fail, what new thing would you want to try this year? Do you have any goals you are working towards right now? What would help you to get to these goals? What goal would you like to see finished in a week? A month? A year? The interview can be just a way to help them clarify their thoughts (like a time capsule) or it can be a spring board to help them accomplish their goals as soon as possible! You can spend the whole day making charts and talking about ways to achieve their goals! And if you have a New Year’s resolution that you would be willing to share with them, put your chart right next to theirs. You can be a living example of how goal setting can help you accomplish the resolutions you make. Enjoy celebrating goals that you accomplish! For the youngest, their goals must be attainable quickly. They will not understand year-long goals, but they will understand ‘putting their toys away without being asked at bedtime’ or ‘I want to learn to jump rope’. Celebrate these accomplishments! Let them know their effort is noticed. Something as small as a celebratory cupcake or extra book before bed is plenty of pomp and circumstance for these small goals, but allowing them to bask in the glory of a well earned treat is something they will carry with them and it could help fuel bigger goals in the future! That’s a great idea, Aleacia! I hope you’ll tell me how it went!